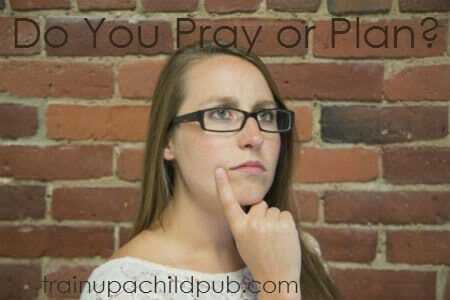 Do You Pray or Plan? Do you pray or just plan? You know the story — Mary wanted to sit at Jesus’ feet, while Martha was more of a woman of action. I am afraid my natural, type-A self is more of a Martha than a Mary. Years ago Having a Mary Heart in a Martha World was a great read reinforcing that I needed to spend time with Jesus in prayer before I jumped in to add this or that new activity to our already busy homeschool days. If that is something you have a tendency to do, too, it might help you to read this post offering some poignant Scripture verses applicable to your homeschool journey, as you seek the Lord’s guidance for your family and homeschooling this semester. On the other hand, you may be more of a wing it, let’s-see-where-this-rabbit-trail-goes, oops-we-forgot-to-do-science-last-semester type. If that describes you, it may be time to do some planning to ensure that you cover what you need to cover this next semester. Here’s how to set some structured goals for the new school semester. Setting specific goals and accomplishing them is motivating for you and is a powerful example for your kids. But what if you just began homeschooling and you are having trouble just getting your children to listen to you? You need both prayer and planning, as we all do! Start with prayer. Then make plans to do some basic habit training. Teach your children these nine habits to start with and homeschooling will be MUCH easier. Continue to guide your students in forming these valuable intellectual habits and your children will turn out to be lifelong learners. Ideally, we will grow to demonstrate the best of both Martha and Mary. We will spend daily time sitting at His feet and asking for His wisdom and grace in parenting and homeschooling our children. AND, we will plan, using biblical priorities to train our children’s character and teach them what they each need to know. We will model using our time wisely, according to the principles set forth in God’s Word. What about you? Do you tend to be a “Martha” or “Mary” homeschooling mom?